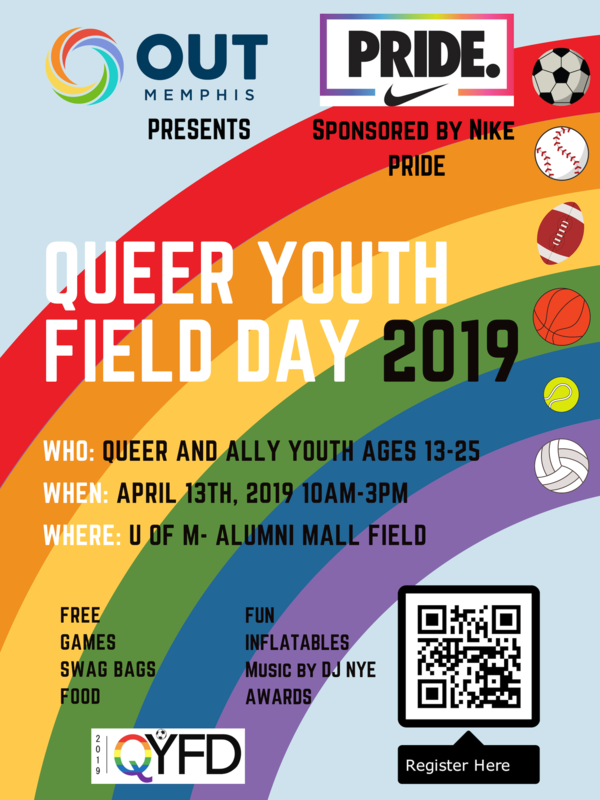 Queer Youth Field Day 2019! Queer Youth Field Day is an annual OUTMemphis free event sponsored by Nike Pride. Our goal is to offer a fun, safe and supportive environment for all LGBTQ and Allied youth ages 13-25 to be active and have a chance to meet other like-minded youth. In addition to the games we will be playing there will be food, music, awards and resources available for youth. The first 80 individuals to pre-register are guaranteed a Nike swag bag! Come OUT and join us for a fabulous day! For more information you can contact us via email. To visit the Facebook event, click here.